CNS Canada — July is usually when Canadian canary seed prices weaken as producers dump unsold product onto the market — but this year that might not happen as trade uncertainty around the world affects the markets. “We tend to see weakness in July and then strength in the fall, but I don’t know if that’s going to happen or not,” said David Nobbs, managing partner of Canpulse Foods in Saskatoon. Throughout June the Canadian canary seed market has been firmer, due to lack of farmer selling and demand dropping off as a result of the global trade uncertainty. Canada’s two largest canary seed importers, Mexico and Europe, are seeing weakness in their currencies, which is making them wary to purchase. “The importers have lost confidence right now in their currency. So we’re seeing next to nobody pre-buying or forward-buying,” Nobbs said. The situation isn’t guaranteed to change soon; Mexico has a presidential election on July 1, while Europe hasn’t been buying any canary seed, period. “The whole world is in a bit of a kerfuffle…there’s just a lot of mixed messages floating around and people are just choosing to kind of stay in cash,” Nobbs said. Canary seed is currently sitting in a 21- to 22-cent range. “That’s about the biggest thing, (the canary seed market is) steady. At least it’s not like lentils or other pulses that seem to be falling really hard,” said Jamie Woodrow, grain merchant with Rayglen Commodities in Saskatoon. Overall the outlook for Saskatchewan’s canary seed crop is mixed. According to Woodrow, on the east side of the province, things are looking good, while throughout south-central Saskatchewan and into the southwest, it’s pretty dry and the crop isn’t looking the best. From what Nobbs has seen it’s very patchy for the canary seed crop in the southwest. “You’ve got pockets that are still very dry and you’ve got pockets that are in good shape, depending how these spotty rain showers hit. The spottiness has been since seeding,” he said. However, Canada will have enough canary seed to fill export demand, Nobbs expects. Every year Canada needs to grow 100,000 tonnes or about two thirds of what it exports, which is roughly 150,000 tonnes, and there is usually 50,000 tonnes of stocks kept from the prior crop year. Statistics Canada estimated that there were 212,000 acres of canary seed planted this year, in its principal field crop areas report for June. This is less than the March estimate of 223,000 acres and down from last year’s 255,000 acres. There has been a positive development for the canary seed market, though; Health Canada in 2016 approved canary seed for human consumption. However, Nobbs said the approval is having zero effect on the market currently. “We’re starting out literally with tiny, tiny amounts of product being de-hulled, it has zero impact in the markets at this point,” he said. 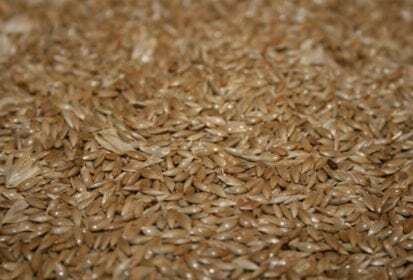 Nobbs said Canpulse Foods has started to de-hull canary seed itself; Health Canada requires it be de-hulled for human consumption as the hull is high in indigestible fibre. Canpulse will attend a food show in Chicago at the start of July, where it plans to try and find markets for the product. “We’re going to get product in front of developer’s hands and get them aware that it even exists, because they don’t even know it exists at this point,” he said, adding that canary seed is high in protein content, and fatty acids, omega-3 and omega-6. Rayglen, Woodrow said, has a few producers growing CDC Cibo, the new variety of canary seed that is safe for human consumption, as test projects this year. “We’ll see how they do with it. See if it increases the value of that variety of canary seed just because it is food grade availability,” he said.